Is biodiversity important for predicting human impacts on ecosystems? If diverse ecosystems were as a consequence more stable, the answer would be yes. However, stability is not one, simple property of an ecosystem and there is no one, simple relationship between diversity and stability, say ecologists Tony Ives and Steve Carpenter of the University of Wisconsin at Madison. In the last 20 years, ecologists have performed experiments on diversity and stability, manipulating diversity (number of species) at small scales, then measuring one of several kinds of stability. While these studies have taught us a lot about how diversity affects some types of stability, they don't necessarily tell us how stable ecosystems will be against human impacts, say Ives and Carpenter. Ecologists should turn the question on its head, the researchers believe: rather than focusing on how diversity affects stability, scientists might make faster progress by focusing on stability first. "Humans don't change 'just' biodiversity," said Ives. 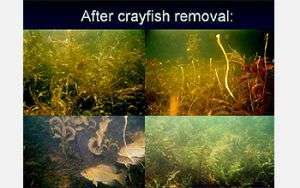 "Humans cause major environmental changes to ecosystems, like acidifying lakes or cutting down forests, with changes in biodiversity often a by-product. "Rather than how biodiversity affects stability, we should be asking how environmental change affects the stability of many aspects of ecosystems, including diversity." People often equate stable with good, unstable with bad, said Carpenter. But that thinking may be dead wrong. "Anybody who has fought the very stable population of dandelions on their front lawn," he said, "or the increasingly predictable algal blooms in lakes like Mendota in downtown Madison [Wisconsin], knows that stable isn't necessarily good. Everyone would like to make components of ecosystems like these unstable enough to disappear." In fact, environmental management is the management of stability, destabilizing unwanted situations while stabilizing preferred situations, Carpenter said. Ives' and Carpenter's conclusion is that ecologists are still far from understanding how many ecosystems work. There are no short-cuts, they say, and it might be impossible to extrapolate from one ecosystem (or one experimental plot) to other ecosystems. "The best argument for preserving biodiversity is still the cautionary principle," said Ives. "Given that we know little, it makes sense not to change much." Ives and Carpenter published a review paper on stability and diversity of ecosystems in the journal Science on July 6, 2007.